Regina (Gina) McGlinchey is a Supervisory Research Scientist at the VA Boston Healthcare System and Associate Professor of Psychology in the Department of Psychiatry at Harvard Medical School. Since receiving her PhD in Experimental Psychology from Tufts University, she has been conducting clinical neuropsychological and neuroscience research on cognitive and neural changes associated with aging, stroke, disease, alcoholism, and, over the last decade, military-related brain and psychological trauma. 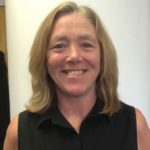 Some of her most important contributions to science have come from her role as Principle Investigator and Director of the VA Rehabilitation Research and Development National Network Center for Traumatic Brain Injury called the “Translational Research Center for TBI and Stress Disorders” (TRACTS). Together with a team of researchers at TRACTS, she is conducting multidisciplinary, clinical research aimed at providing a multimodal characterization of mild traumatic brain injury, and in understanding how associated stress disorders, including PTSD, influence how brain injury is expressed at the psychological, biological and neurobiological levels. It is her hope to use this understanding to create effective treatment opportunities for post 9/11 Veterans who often suffer from multiple, co-occurring psychological and physical conditions. Gina’s advice to new trauma psychologists is to try to approach each individual patient/study participant with a sense of professional empathy and to try to understand their lifetime history of exposure to physical and psychological trauma. This will help to put the present circumstances into a lifetime biological/psychological context that is specific to that individual. When not at her “real” job, Gina works with her husband operating an apple orchard that keeps her busy outside year round. The work includes pruning the fruit trees in the winter months, maintaining the property throughout the year, and running a retail and pick-your-own apple business in the fall. While the business is a lot of physical work, she finds it highly rewarding and a complete escape from the pressures and challenges of life as a neuroscience researcher.